The Burrells have been associated with Sussex since the 15th century, first as farmers and vicars of Cuckfield, then as ironmasters in the 17th century. Knepp came into the Burrell family when William Burrell, a lawyer and Sussex historian, married an heiress, his second cousin, Sophia Raymond. Her father, Sir Charles Raymond, had bought Knepp in 1787. Sir Charles gave the estate, then 1,600 acres, to his daughter, and the Raymond baronetcy to his son-in-law. It was their son, Sir Charles Burrell (3rd Bt), who commissioned the modern Knepp Castle from the Regency architect John Nash. He chose for his ‘mansion house’ an ‘elevated and beautiful spot’ overlooking the great expanse of Knepp lake – originally a medieval furnace pond - with a vista to the ruins of old Knepp Castle in the distance. 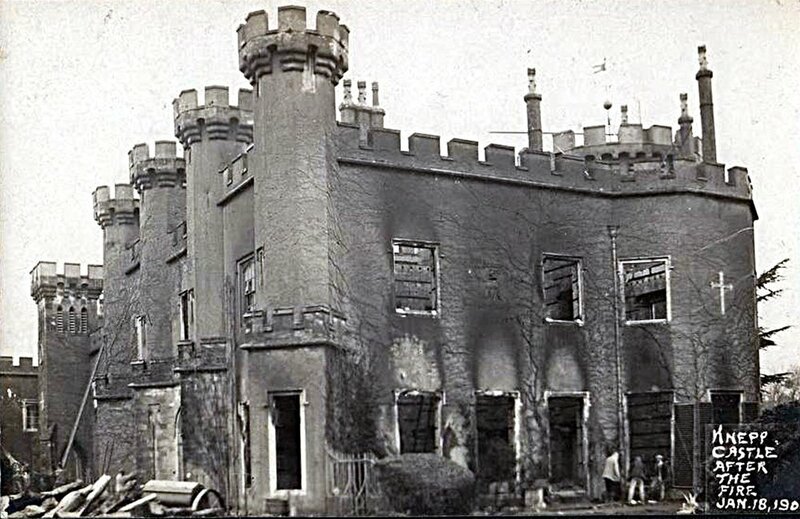 In 1904 Knepp Castle was devastated by a fire that destroyed virtually all the contents including a collection of Raphaels, Holbeins and Vandykes, and a fine library. Having narrowly escaped with his wife and month-old son, Sir Merrik Burrell (7th Bt) commissioned a complete reconstruction of Nash’s original with the addition of a third floor Bachelor Wing. Charlie Burrell, the present owner, inherited the estate from his grandparents and moved into the castle in 1987. With his wife, Isabella Tree, they embarked on extensive renovations in the mid-1990s, installing central heating, repairing the roof, rebuilding turrets and redecorating throughout. The garden directly around the house – wrecked by Canadian army service roads – has been re-designed, together with the adjoining Victorian walled garden, and is available to visit through the National Gardens Scheme.